We want to create phenomenal work by young people to share with our audiences. We want to create work that could only have been made in Hackney Wick but that speaks to the whole world. So our 7-11 year old artists occupy a central place in our programme. They are sharp and they are wild, they are full of choas and brimming with ideas. In partnership with Gainsborough Primary School and St Dominic’s Primary School and brilliant professional artists, we experiment with little people’s big ideas and create beautiful work. Yard Young Artists are The Yard’s radical theatre-makers, ranging from 4-19 years, and mostly from the local area. We meet weekly at our home in Hackney Wick to experiment, play and create a phenomenal new world. Every Tuesday from 3.45 – 4.45pm in term-time. All of our projects for young people take place in Hub67, The Yard’s community centre. Hub67, 67 Rothbury Road, E9 5HA. Click here to view on a map. Find out more about Hub67. 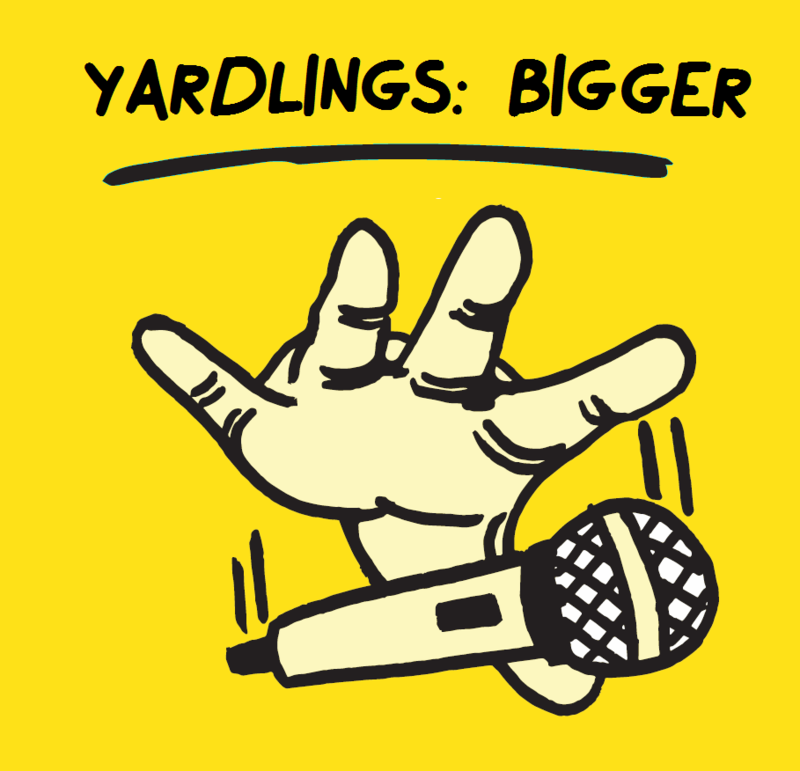 YARDLINGS: Bigger is currently delievered in partnership with Gainsborugh and St Dominic’s Schools and open to children attending the school in Years 3-6. If you are interested in your child taking part, but they don’t attend the school, get in touch and we’ll add you to the mailing list for when we open out more broadly. To find out more about this, or any of our projects for young people, contact our Local Producer, Katherine Igoe-Ewer.